2 x 40 watt Tungsten Bulbs. If Recirculating 2 Carbon Filters Required. 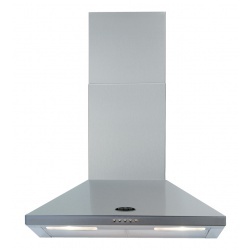 This built-in hood is easy to install, so you can have a vapour-free kitchen quickly and simply. Outlet Size 150mm, 2 x 40 watt Tungsten Bulbs. 1 x 28w light bulb brightly lights your hob and work surface. The Delta also has easy access to the grease filters underneath. 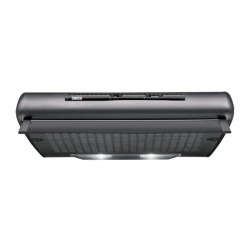 An impressive extraction rate of 360 m3/h ensures this hood will have your kitchen odour free in no time. Especially quiet: high performance at just 48 dB. The Belling chimney hood is easy to use and has high extraction rate of 320m3/h. Each hood has 2 LED lights. 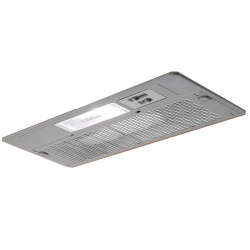 For customers who cannot vent through a wall a Recirculation Filter is an optional extra. All Belling hoods have dishwasher safe metal filters. Belling hoods offer a 2 Year Parts & Labour Guarantee. Suitable for Recirculation or External Venting? Belling's appliances are at once beautiful and functional, answering all kitchen necessities with an impeccable sense of style. Whilst extraction is a seemingly straightforward essential, the MK3 is sure to be an elegant addition to any house. 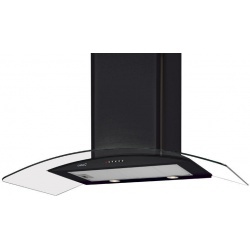 Finished in lustrous black and composed of clean, modern lines, this chimney hood is certain to compliment any hob - traditional or contemporary. However, it's how it works that counts and the MK3 delivers in spades. A voracious maximum extraction rate of 512m³/h is more than ample to clear a large, open-plan space in a matter of minutes while the powerful 110W motor provides enough clout to keep the heart of your home airy and welcoming. As is Belling's custom, the MK3 goes beyond what's expected. A choice of 3 extraction speeds lets you tailor the fan strength in accordance to your cooking while superbly simple push buttons offers a safe, incredibly easy mode of operation - even with wet hands. A total of 2 round multispot lights bathe your hob in bright, clear light so you can keep a keen eye on what's cooking while 3 aluminium grease filters eradicate odour and residual grease, effortlessly maintaining a beautiful kitchen space during and after cooking no matter how rich your tastes. Is powered by a 145W motor and has 3 slide-operated speed settings. 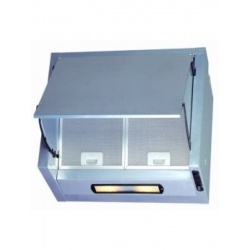 This designer hood includes 2x 28W halogen lamps", and comes with quick release, washable metal grease cassette filters. With the Rangemaster LEI-HDC90SC Chimney Hood, striking in its black chrome finish, you can add style as well as serious functionality to your cooking space. Offering three powerful fan settings and the ability to use it as either a ducted or re-circulatory system, the 900mm-wide LEIHDC90-SC offers maximum extraction rates of up to 530 cubic metres per hour, and comes with both a washable metal grease filter and odour-neutralising charcoal filters. 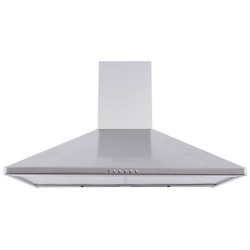 With push-button controls and two powerful halogen lamps for extra illumination, the LE-IHDC90SC Chimney Hood from Rangemaster gives your kitchen that extra touch!